Why Does It Say "This Programme Is For Entertainment Purposes Only" Before Paranormal Television Shows? 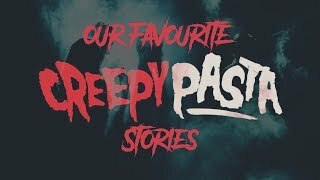 If you watch paranormal shows like 'Ghost Adventures', 'Paranormal Lockdown', 'Ghost Chasers' or 'Help! My House Is Haunted' then you can't fail to have noticed a message which pops up before the show which states "this programme is for entertainment purposes only". What does this disclaimer mean and why is it shown? The British media watchdog, Ofcom, insists that all ghost hunting shows or programmes featuring psychic mediums must show the disclaimer prior to broadcast. It's intend to inform the audience that the activities and evidence presented in the show may be fictional, staged or exaggerated. Because these type of shows are often presented as reality TV, this disclaimer is supposed to prevent television audiences from taking what they see on screen too seriously. It also covers the programme makers and television channels from a legal standpoint, as it stops viewers being able to question the authenticity of these shows or sue the network if they feel they have been misled. Of course, it does also give the shows' makers license to fake alleged paranormal happenings because they have already stated that the programme is for the purpose of "entertaining" an audience and not necessarily to present facts. There are lots of shows on television which are pure fiction, including dramas like 'Downton Abbey' and soap operas like 'Eastenders', but why don't these programmes show a disclaimer? It's simply because these shows aren't presented as reality. The way in which they are shot, the nature of the story lines and the fact that the characters are played by actors makes it clear to the audience that each episode is a work of fiction. 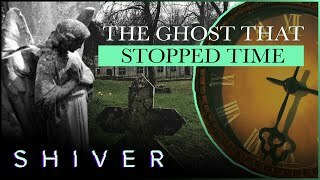 Whereas ghost hunting shows tend to pass off their exploits as a legitimate investigation into the paranormal, but the thing about the paranormal is that by its very nature, its existence is unproven. Some people believe and some people don't. It seems that in the case of most of the ghost hunting shows on television, the team are believers, or at the very least open minded skeptics. For this reason it would be hard to claim that the paranormal investigators in these shows are intentionally trying to cheat, lie or deceive their audience. After all, if someone you knew experienced something odd in a house that they believed to be haunted, and they told you about it, convinced it was the result of paranormal activity, is that person intentionally trying to deceive you or are they just sharing their experiences? The disclaimer has been shown before shows since 2005 following an Ofcom investigation of the ghost hunting show fronted by Yvette Fielding, 'Most Haunted', which first aired on the now defunct channel LivingTV back in 2002. Ofcom cleared the programme makers of fraud, after receiving complaints about its authenticity from the viewing public. The complaints were based around the show's claims that psychic medium Derek Acorah had made contact with the spirits of the dead, many felt that they intentionally deceived the public by claiming to find evidence of paranormal activity and asserting to viewers that what they were witnessing was real. But, Ofcom ruled that 'Most Haunted' is not a legitimate investigation into the paranormal, and should be treated as nothing more than an entertainment show, which contained "a high degree of showmanship that puts it beyond what we believe to be a generally accepted understanding of what comprises a legitimate investigation." The regulatory body concluded that any television show which claims to demonstrate paranormal phenomena that is purported to be real must be "treated with due objectivity" and that if a demonstration is for entertainment purposes, this "must be made clear to viewers." Ever since, programme makers have been able to comply with this ruling by flashing up the disclaimer "this programme is for entertainment purposes only" before the show. It tells viewers that not everything they see in the show should be taken seriously. It's the television equivalent of making a novelty item. For example, you might buy a pair of cheap "spy glasses" and on the packaging it might say "for novelty use only". This is because the product is just a bit of fun, it's not to be taken seriously and it wouldn't be suitable for a real spy to use. It stops those who purchase the item from reporting the manufacturer to Trading Standards claiming that it is not fit for purpose. Some shows or channels use the more vague disclaimer, "the following programme features the personal experiences of paranormal investigators." This is basically the same thing, it's telling the audience that the paranormal activity in the episode is nothing more than the experiences and opinions of the investigators involved and is in no way proven. Whether the cast and crew of popular ghost hunting shows are conducting a legitimate investigation into the paranormal or not is really up to you, what you believe the paranormal to be and how you interpret the evidence you are being presented with. Every photo of a ghost you see online, every video of something odd always comes with the claim that "there was no one else in the room." You simply don't know if this is true or not, either you trust those presenting the evidence or you don't. Ofcom's ruling ensures that broadcasters comply with a laws regarding mediumship. The Fraudulent Mediums Act, which was was passed in 1951, prohibits psychic mediums from intentionally conning those who seek out their services in England and Wales. The act was replaced in 2008 by new Consumer Protection Regulations, which offers similar protection to the public. These laws tend not to be enforced nowadays in regards to the paranormal, in fact, there were only five prosecutions under the Fraudulent Mediums Act between 1980 and 1995, but by using the disclaimer a television channel can make it clear that they are not intentionally trying to mislead its viewers. It means the channel don't have to carry out any due diligence to ensure the integrity of the programme makers. The channel can simply concentrate on picking the most entertaining paranormal shows for their audience.